This alopecia wig is ready to use right out of the box. All of its lengths are intact, ready for you or your stylist to complete its cut and style, perfectly fit your face and match your personality. If you would like us to tailor and design your desired mail before sending it to you, please contact us and describe the style you want, or choose one of the styles we offer here. 1. 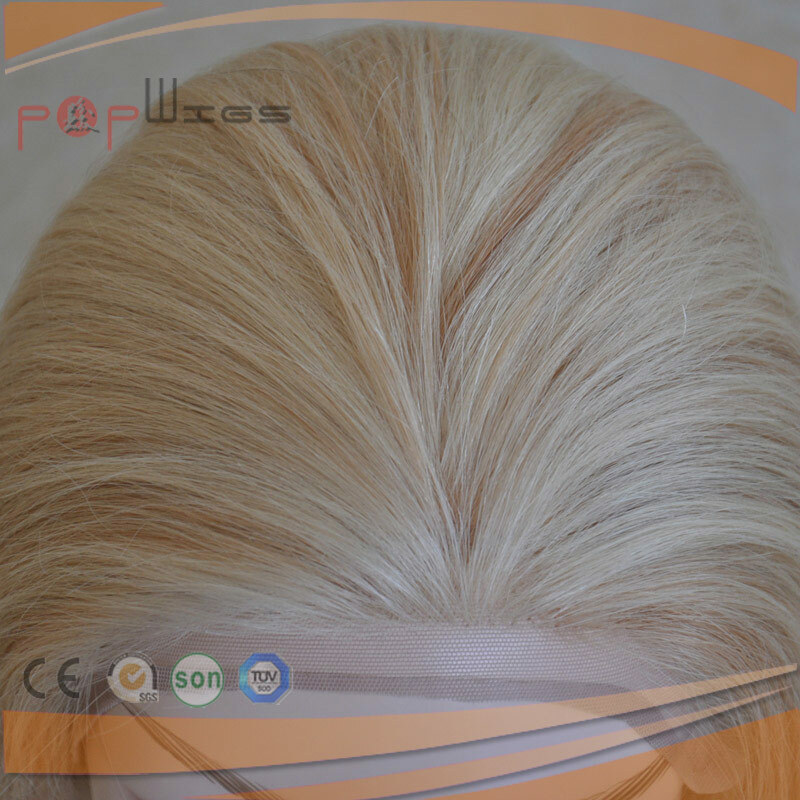 This alopecia wig is a horny layer intact, hand-woven, exquisite human hair. Hair has a wide variety of shapes and is most popular with straight hair or waves. Wavey hair is naturally dry and wavy, but can be blown straight or kept curled. Straight-textured hair will naturally dry out, but it can also be heated to maintain curls or waves. 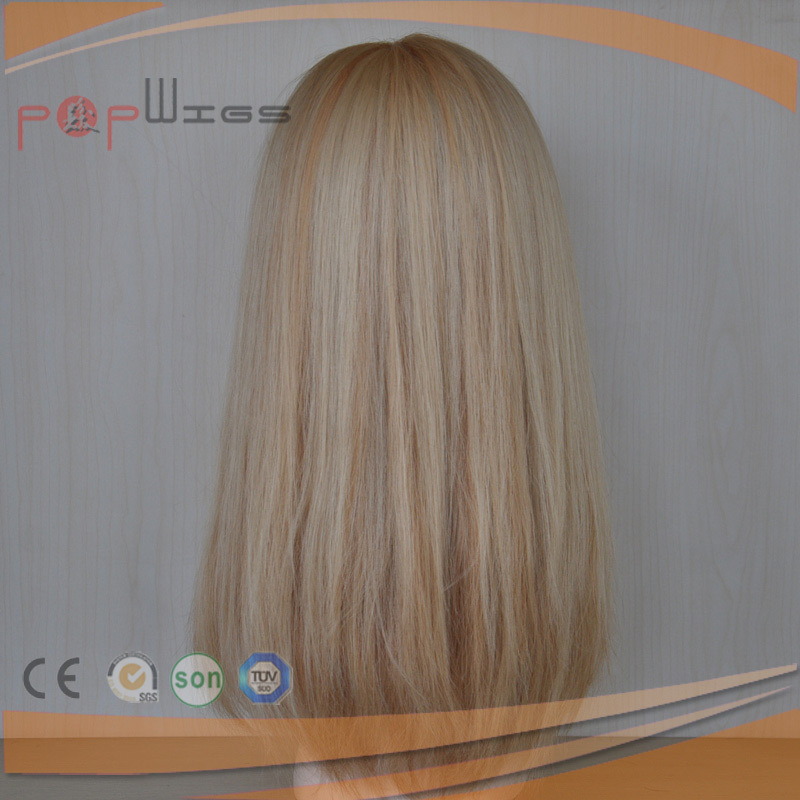 This wig is perfect for people with thin hair or bald hair. 2. This alopecia wig has a combable hairline and a snap around the perimeter to ensure it is worn safely throughout the day. This can be fixed without a comb and clips, suitable for people without hair or slip-on headbands that like to wear wigs for added comfort. This wig has a mini seam. It has a small seam on the front that can be covered by the pulled back hair or strap. The hair is sewn back. 1#,1B#,2#,4#,6#,8#,10#,12#, 14#, 16#, 18#, 20#, 22#, 24#, 26#, 27#, 27S#, 29#, 30#, 32#, 33#, 35#, 99J#, 613#, 60#, 60A#,135#, etc.